Hello, hello! I return with happy news, my friends. 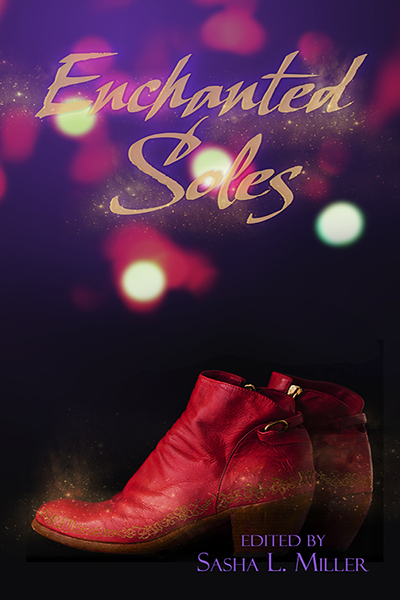 Yesterday saw the release of a super-fun anthology of stories from editor Sasha L. Miller of Less Than Three Press: Enchanted Soles! The theme of this collection is, as you might suspect, magical shoes. But it's more than that! 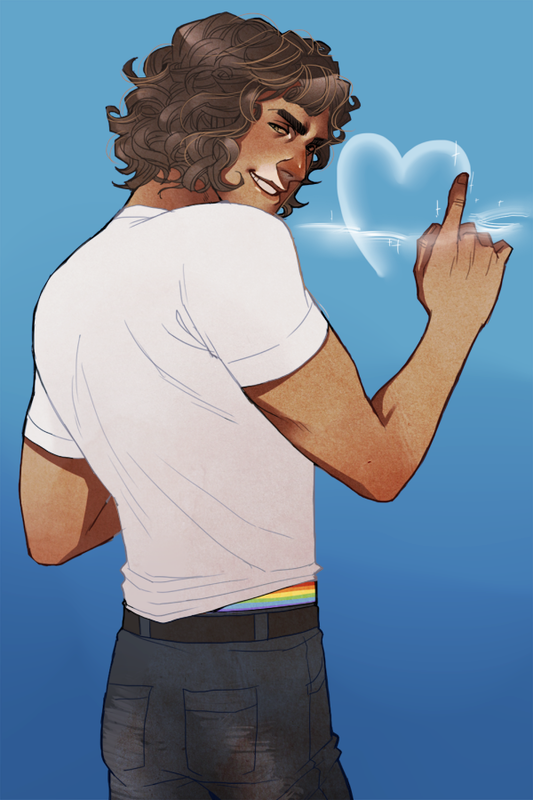 It's also about my favorite thing in the whole world: bisexual characters! I've ranted and raved for years about how near and dear bisexual characters are to me and how important good bi representation across all genres and media is. So I'll spare you. In Three Nights (A.D. Truax), Synder buys a pair of sandals that have a mind and plan of their own, and drag him to a celebration to which he was not invited—and into the arms of a handsome prince. Saidah of Dame Fortune (C. Finley) asks her beautiful new wishing boots to take her to her true love, but the simple question has a complicated answer that will take more than magic boots to find. 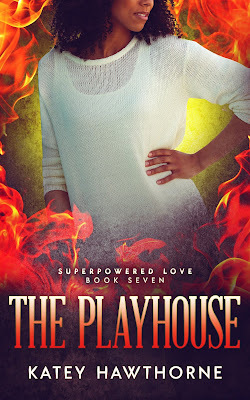 Heart, Lace, and Soul (Archer Kay Leah) brings together Elly, who seldom removes the psychic boots that let her read and feel the minds of other people in order to help them, and a man her boots cannot read. In Aelfwear (Katey Hawthorne), Frida is hired to make hideous shoes for a beautiful woman who claims she's out to cause misery for a man who once betrayed Frida's family—but Frida fears she'll wind up being played for a fool a second time.